Hospital Corpsman 3rd Class Zackery Penner will be awarded the Silver Star for his bravery in Afghanistan. His squad had come under heavy fire – and was likely to face it again. On June 22, 2012, Hospitalman Zackery Penner had risked life and limb to rush to care for a Marine shot during an patrol in Afghanistan with Bravo Company, 1st Battalion, 8th Marine Regiment. The Marine died due to the severity of his wound, a toll that hung heavy on the company. On June 23, the squad was helping Afghan soldiers clear a compound when they came under sniper fire. Two men were hit: a Marine and an Afghan soldier. Insurgent machine guns roared. What Penner did next would later earn distinction with the nation’s third highest award for valor. Penner, now an HM3, is scheduled to receive the Silver Star at a March 19 ceremony in Pensacola, Fla.
Look for an exclusive interview with Penner in our upcoming issue of Navy Times, out on newsstands Monday. You have made all of us Corpsman proud! I’m sure your Marines will remember you for the rest of their lives. good Job, Doc! Good job. Corpsman Up! Thanks Devil Doc for your unselfish valor! 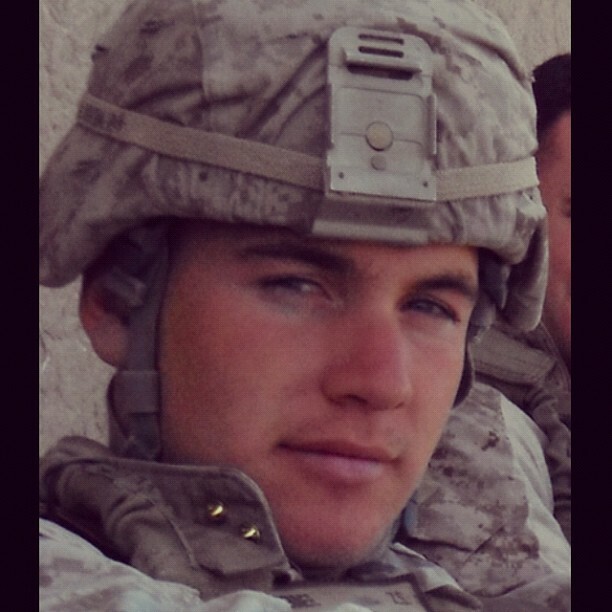 All Marine moms love our corpsman. Thank you so very much. Good job Doc! You damned sure earned your pay! As the wife of a former corpsman turned Marine, I would like to give honor to this outstandingly brave man. Thank you for making us docs proud. Ooh rah, Devil Doc. Total stud!! My dad was (always will be) a Marine…I always love hearing love to hear how people take care of his brothers. Nicely done Zac, very proud. Thank You! As a FMF Corpsman in VN in 1968, I was presented with the Silver Star and reading what this man did adds such an inspiration and shows the true mettle of the FMF Corpsman and what they will do for their Marine Brothers. Zack, Grant just shared this article with me. Very proud of you!! American Hero!! Zach grew up two doors away from us! We knew he was special then and we certainly are know it now! He is pretty amazing. Proud to know him! As a former Marine,I’ve had the privilage to know many corpsman. Although I never saw combat,I know of sacrafices,spirit & courage these men have. I just want to say also,the Marines that have a corpsman(or two) that are with thier unit are highly respected thought of as a brother. Thank God for corpsman. God Bless & Semper Fi. What a story!! What a hero!! Allene and I are very proud of you. We’ve seen you grow up into a hero. This is something to cherish the rest of your life. Zack, I’ll be working at Dewey School for your mom while your family makes the trip to see you receive your Silver Star. They are so very proud of you. Who would have ever known years ago when you were in my first grade class that your would be where you are now having accomplished all that you have. Thank you for your great service to our country. I’m very proud of you! Zack – I’m so very proud of you and all you have accomplished! This honor is well-deserved! Congratulations, Zack on your courage and bravery. I am proud to say I knew you when…Well done! When we are running to our office buildings to avoid getting wet or stuck in traffic going home at 1645 or we have to stand in formation for a 30 minute award ceremony, it’s stories and servicemembers like this that remind us that we have nothing to complain about!! OUTSTANDING JOB SHIPMATE!!! Brother (Doc) God Bless you many more times and years! Thank you for your service and representing the FMF Sailors! Your actions are in keeping with the proud traditions of FMF Hospital Corpsman who deploy with Marines worldwide in wartime situations. Stand tall, stand proud, wear this Silver Star with great pride, for you have earned it. You are an American Hero! Thank you for your service!